St. Lucia has been pleasing us with his synthpop sounds since his self-titled debut EP came out in 2012, and this year has been no exception. His second album, Matter, was released this year, and his fall tour in support of it just wrapped up - we already can’t wait for more. Jean-Philip Grobler, is the pop-rock vocalist behind the music, who chooses to go by the Caribbean-inspired moniker while onstage. Bringing his four-piece band to back him up, the South Africa native’s shows are full of bright lights and colors, packed with scores of screaming fans who know every word to his songs. 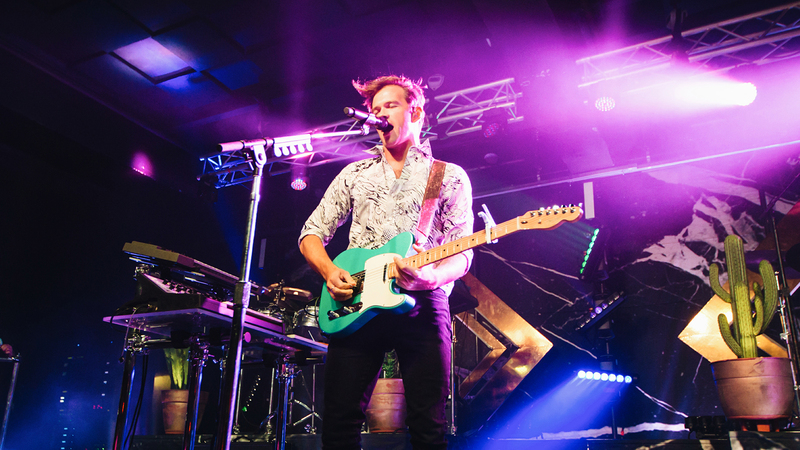 Every St. Lucia show is a spectacle, and it’s one you definitely won’t want to miss. We were at the show in Chicago’s Concord Music Hall in October to capture the magic. Check out the photos and then track St. Lucia on Bandsintown to find out when he’ll be back on tour!